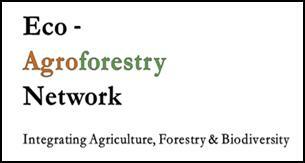 The Eco-Agroforestry Network aims to bring the sustainable agroforestry approach into the mainstream of UK food, fuel, timber, and fibre production, through research, dissemination, and policy change. Target policy makers within the UK in order to bring about a more sympathetic policy framework that understands the need of an integrated approach to food, fuel, timber, and fibre production, whilst enhancing biodiversity on agricultural land. Increase dissemination of information to, and increase communication with farmers, growers and land managers in order to encourage uptake of the eco-agroforestry approach and encourage farmers to gain the most both financially and ecologically out of trees and shrubs already established on their land. Promote knowledge transfer and establish a platform for collaboration between: farmers and landowners, governmental organisations, businesses, and conservation bodies in order to create support for agroforestry, links throughout different supply chains, and establish a viable market for eco-agroforestry. The Eco-Agroforestry Network is based in the UK and was established in 2010 through the Organic-Research Centre Eco-agroforestry programme. It is supported through funding by the Ashden Trust.